Spring, Summer and Fall are wonderful times of the year to visit Puglia, the destination to be in the south of Italy. This region is characterized to a large extent of Baroque architecture, centenarian olive groves, a myriad of nice little villages (where you can experience the local traditions and culture), a beautiful coastline going from the Adriatic to the Ionian sea, magical atmosphere and warm local people. Puglia offers an incredible variety of food and wine. This is the southern region of the so called “cucina povera” (peasant cooking), based on natural, genuine ingredients, like vegetables, legumes and lot of seafood, olive oil, homemade pasta and bread. Its superb food and wine, make Puglia the perfect place for a culinary and wine vacation. Vegetables and great cheese in this area are the basis of any meal. Row or cooked, they are always considered an important part of the meal and in some cases wild vegetables are used to make simple and tasty recipes of the rural tradition. A cooking class in this area is a once of a lifetime experience, a special day to spend with locals going local. 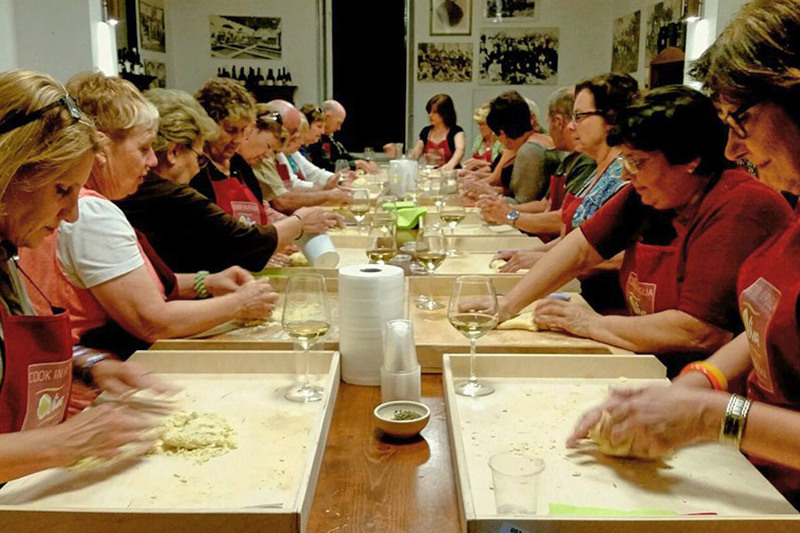 There’s a cooking school called COOKINPUGLIA (www.cookinpuglia.com) where guests cook with a local mum in a wonderful setting while sampling local wines and olive oil and listening to Opera music. A visit to a food market, some casual tastings along the way, the preparation of the meal hands-on and tons of fun pictures during the lesson. What an amazing day! All of our Moms are simply wonderful: lovely and excellent teachers when it is about cooking. These lovely mums are all native from Puglia, they are not chef, but gorgeous Mamme who have been cooking traditional recipes lifelong, maintaining intact the traditional cooking as it was once and who know anything about freshest seasonal products, traditional recipes and food markets. The day you spend with them is one of a kind: relaxing (you always feel relaxed and more like a big family cooking together), instructive (because they will teach you how to cook the traditional way) and fun. Classes are conducted in a casual and very familiar way, just like being home with friends. So if you want to celebrate the extraordinary beauty of Puglia “cucina contadina”, keeping food and simplicity at the centre of family and friends life, sharing the joy of food and of the “casa”, then Puglia will be a real wish-fulfillement destination for you and Cookinpuglia the perfect spot for you. 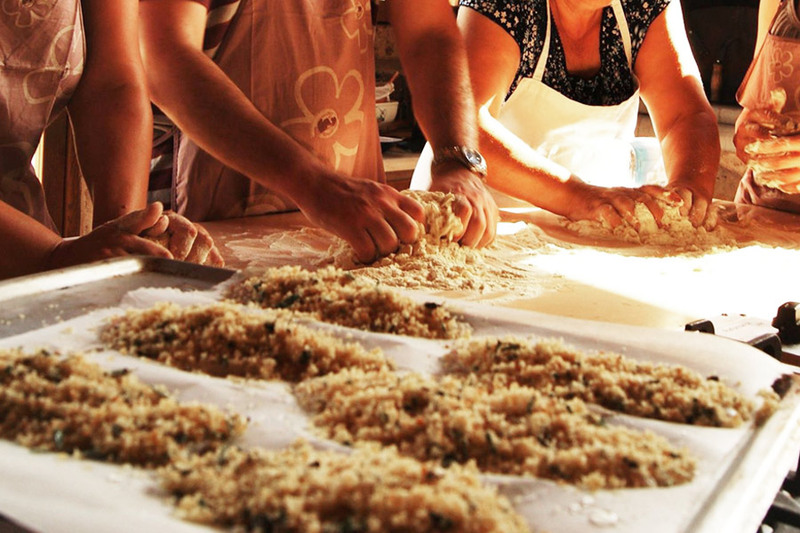 Cooking with a local Mum is the best way to experience Puglia’s authenticity: rolling pasta with her, make focaccia and bread and chat in a fun Italian language. 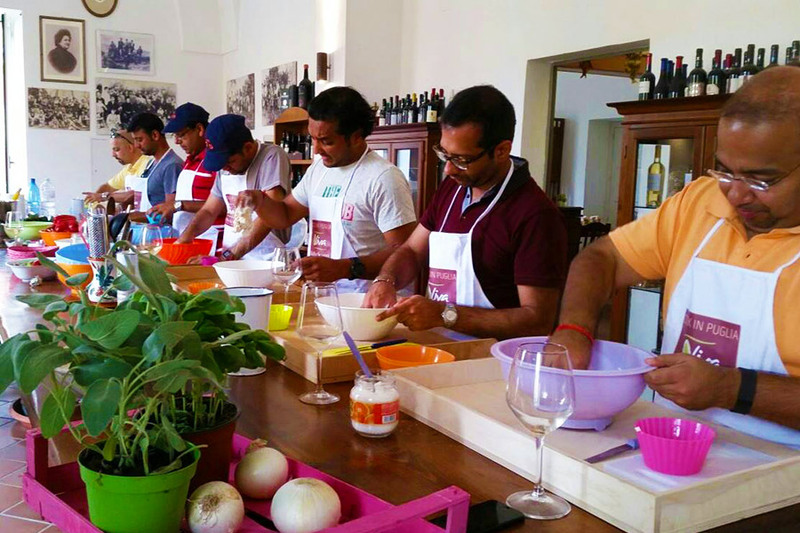 Cookinpuglia teams up with YLTOUR in offering cooking lessons, winery tours, gourmet tours, grape harvest olive picking, excursions to artisan food and wine producers and of course, very popular cooking vacation programs in Puglia that include accommodations in Masserie and excursions to remote villages. 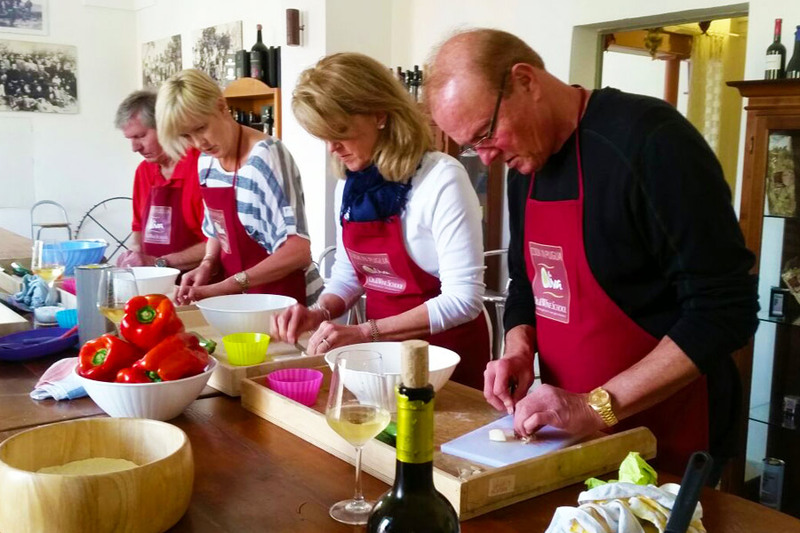 A cooking class with COOKINPUGLIA lasts 4 hours starting either morning or late afternoon and includes plenty of food, wine and Opera.